Two-part drama telling two love stories, 60 years apart. Michael and Thomas fall in love in the heat of war but can their romance endure back home? Italy, 1944. As Allied troops push up through southern Italy, Captain Michael Berryman finds his regiment under fire. With their medic dead, Michael triages the wounded being dragged into the besieged crypt they have taken refuge in. Amongst them is war artist Thomas March, known briefly by Michael from his school days. The two men survive the night and in the following days, a bond forms between them as Michael is drawn to Thomas's bohemian charms. As the war effort moves each of them on, Michael finds he cannot get the other man out of his mind. Delaying his reunion with Flora, Michael heads to Thomas's Soho studio as soon as he is demobbed. The two men flee the city to spend a week in an old country cottage belonging to Michael's family, and this brief escape offers a tantalising glimpse of domestic bliss. But Michael cannot reconcile this unconventional life with the one expected of him, and despite Thomas's protests, he returns to London, intent on marrying Flora. At the wedding reception, with Thomas an uncomfortable best man, Michael privately breaks down, realising how much he misses him. Michael and Flora's life unfolds traditionally as they set up home together in London and Flora becomes pregnant. But Flora's world is shaken to its core when she discovers a stash of hidden love letters between Michael and Thomas, and she burns the lot, triggering an explosive confrontation with Michael and an early labour. Sent away by the midwife, Michael is lost, roaming the streets of Soho, looking for Thomas but finding himself unable to cross the threshold. 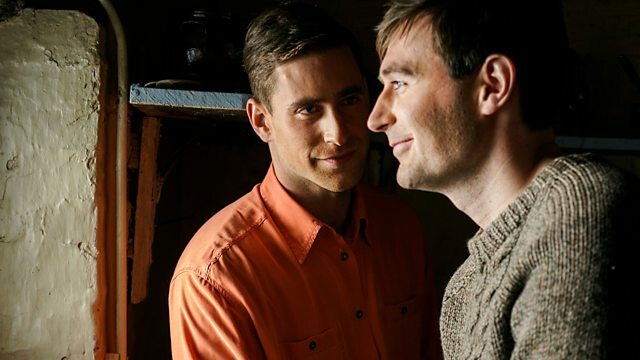 A season of programming marking the 50th anniversary of The Sexual Offences Act 1967.